May 1, 2007: Final Program has been uploaded. Apr. 10, 2007: Accommodation page has been changed:The rooms the committee reserved have been fully booked. Notification of Acceptance: February 14, 2007. Camera Ready Manuscripts Deadline: March 20, 2007. 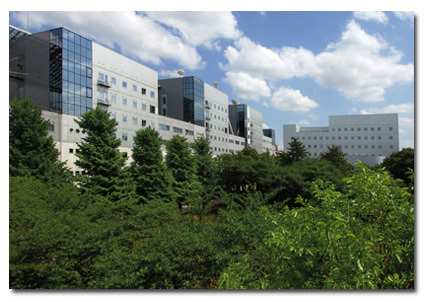 The Tenth IAPR Conference on Machine Vision Applications will be held at the Institute of Industrial Science, the University of Tokyo, Japan, from May 16 through 18, 2007. The conference is co-sponsored by the MVA Conference Committee, IAPR TC-8, and the University of Tokyo. The purpose of the conference is to bring together researchers and practitioners from both academia and industry, so that they can exchange their knowledge and stimulate each other through intensive discussions on topics toward machine vision applications. We hope all scientists and engineers who have interest in computer vision, image processing, and their applications will paticipate in the conference. The paper submission process will be entirely electronic and will be started at this website in September. For more information, please contact mva2007@cvl.iis.u-tokyo.ac.jp.